"World Disability Day is our Diwali, Christmas, Id & Holi ….all combined into one!" The International Day of Persons with Disabilities (earlier International Day of Disabled Persons/World Disability Day) is celebrated every year on 3rd December since 1992. Proclaimed and promoted by the United Nations, this international observance is marked the world over to intensify efforts aimed at sustained effective action with a view to improving the situation of persons with disabilities. 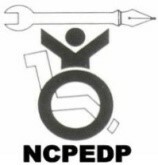 National Centre for Promotion of Employment for Disabled People (NCPEDP) has been celebrating the World Disability Day each year, bringing together thousands of disabled people in a show of solidarity and celebration. People with disabilities, their friends, families, civil society organisations, disabled peoples organisations, corporates, media groups and also political representatives congregate at the India Gate for a symbolic ‘Walk to Freedom’ on 3rd December. The celebration revolves around a common pre-decided theme that significantly impacts the lives of people with disabilities. Earlier themes have included accessibility of the built environment and recognition of sign language to Disability Inclusion across 17 Sustainable Development Goals. The celebrations are also a means to come together, to debate and discuss the achievements of the disability sector and the way ahead. They provide a platform to engage other stakeholders, to share issues effecting people with disabilities and to work together to find and implement solutions to calibrate the way forward in a manner that ensures inclusion of people with disabilities in all future developments and policies adopted across Governments and the private sector. Therefore, the celebrations conclude with a short 'Walk To Freedom', symbolic of the work that yet needs to be done to ensure inclusion of people with disabilities into mainstream society, allowing them to live their life with dignity and equality. This year, NCPEDP, in partnership with the American India Foundation (AIF), and with the support of several disability organizations and corporate will be organizing the NCPEDP-AIF Walk To Freedom 2018 at India Gate, New Delhi with the theme on "Empowering persons with disabilities and ensuring inclusiveness and equality".